Alternative fuel vehicles help us get from here to there with cleaner air and lower fueling costs. Electric cars, propane and natural gas vehicles, and bi-fuel vehicles are driven by Delawareans across all three counties, and more hit the road in the US every day. Clean transportation is a crucial strategy in lowering our greenhouse gases and meeting the challenge of climate change. The Clean Transportation Incentive Program will be extended through December 31, 2019! The Delaware Clean Transportation Incentive Program will continue to offer vehicle and charging station rebates through December 31, 2019, with slight programmatic changes for clarity and flexibility. Rebate amounts will remain the same. The new round of funding will begin July 1, 2018. New application forms and guidelines will then be available on this webpage. Electric vehicles plug into a wall or charging station. They come in two types: battery electric, which run only on electricity and don’t have a tailpipe, and plug-in hybrid electric, which have both a chargeable battery and a gas engine. 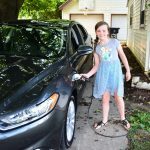 Electric vehicles are a great option for families, commuters, and business fleets. Cheaper to fuel and cleaner for the environment than gas cars, they’re better for your wallet and our air. Rebates are available up to $3,500 from the state, and additional manufacturer offers may be available. Rebates are also available for charging equipment and for workplace charging stations that benefit businesses and their employees. 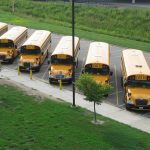 Vehicles in all shapes and sizes from sedans and pick-up trucks to school buses and heavy-duty big rigs can be designed or converted to run on natural gas or propane; fuels that offer lower, steadier prices and fewer polluting emissions than gasoline. Bi-fuel vehicles are equipped to run on gasoline or diesel, and natural gas or propane. The Delaware Clean Cities Coalition is a collaborative group of transportation professionals, stakeholders, and Delaware state agency representatives that works to reduce petroleum use for transportation. Funded by the US Department of Energy, the national Clean Cities program has saved more than 3 billion gallons of petroleum in the United States since 1993, advancing America’s energy, economic, and environmental security. DNREC’s Division of Climate, Coastal, & Energy is an active participant in the Transportation and Climate Initiative (TCI), housed in the Georgetown Climate Center. Founded in 2010, TCI is a regional collaboration of 12 Northeast and Mid-Atlantic jurisdictions that seeks to develop the clean energy economy and reduce greenhouse gas emissions in the transportation sector.